Melbourne’s rail network already has some huge car parks, up to 1000 spaces at some stations, as many as a medium-sized shopping centre. There are more than 40,000 spaces across the Metro network, and thousands more on V/Line. Unlike in some cities, they’re all free. The common complaint is that all station car parks fill up between 7 and 8am each weekday. The problem is that building big suburban car parks is not an efficient way to get more people onto public transport. It’s really, really expensive. The 1600 planned spaces for western suburbs stations will cost an average of $14,000 each, but at Tarneit it’s an eye-popping $37,500 per space (presumably multi-storey). I’m not going to tell you to vote for the other guys, because they want to do the same thing. 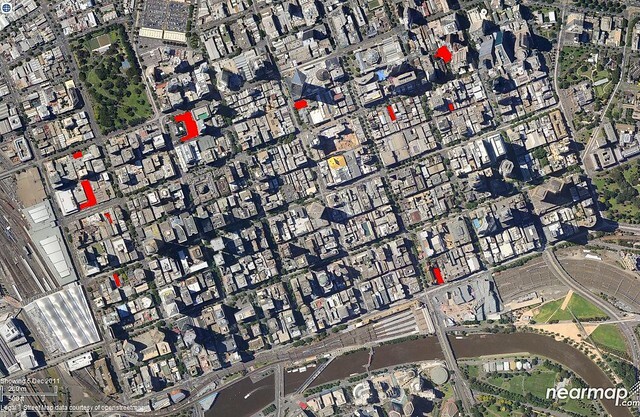 For example the Coalition has pledged $30 million for an additional 450 spaces, an amazing $66,000 per space. That’s about 7,600 daily fares, or more than 30 years of Monday to Friday commuting — almost 40 years if using a Yearly fare. It’ll never even come close to recouping its costs. How is this seen as a sensible investment? The Greens notably have policies around better buses, rather than more car parks, but are unlikely to be running the government anytime soon. 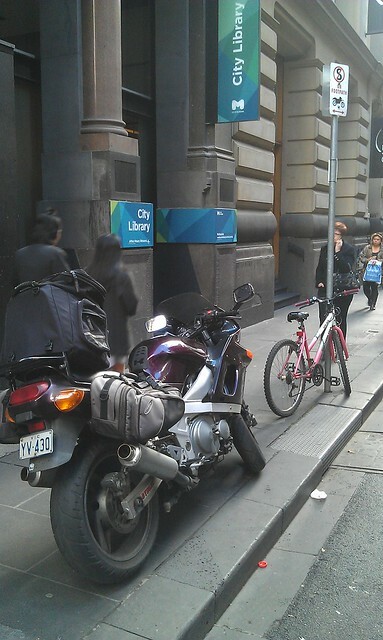 Sure, bigger car parks will get a few more people onto trains, but it’s far from the most efficient way of doing it. What about finding a method that’s cheaper, causes fewer problems, is more scalable, and doesn’t assume train passengers have a car? Park and ride has its place. It’s appropriate for urban fringe areas where land is cheap and not suited to other uses such as residential or commercial development, walking and cycling distances for people are too far, and density doesn’t support good bus services. Perhaps it’s time to consider applying a small fee to help offset the cost and discourage those with alternatives, combined with a rebate for those driving to the station from areas with no other options? 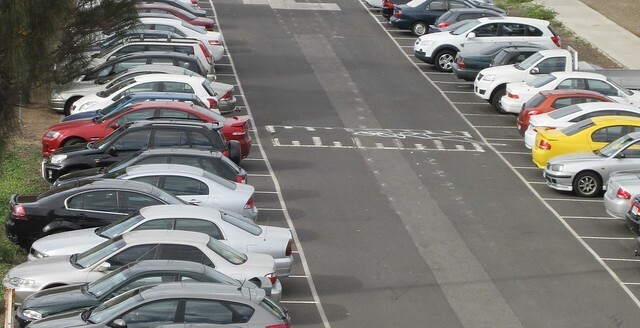 There is one arguable benefit from big car parks at stations that someone well-connected pointed out to me the other day: it’s a method of land banking for future development. 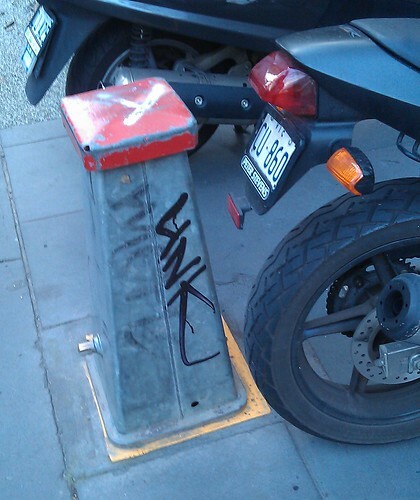 Elsternwick might be an example. 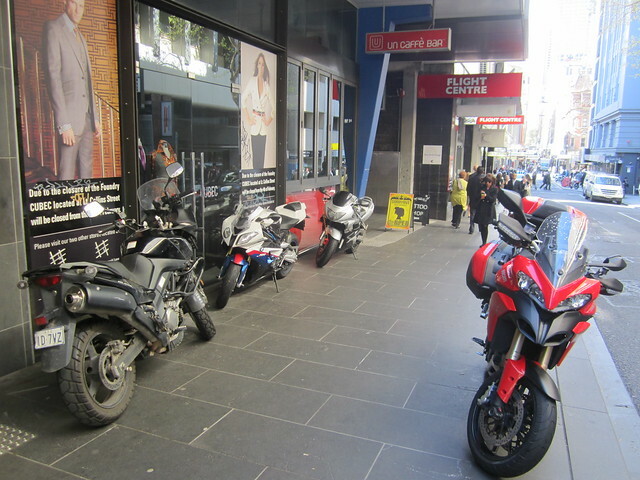 Some years ago, the decades-old ground level parking got converted to multi-storey, freeing up space for apartments and retail. I don’t think the retail has been a raging success, but the theory is good… though in practice, given the cost of multi-storey, I’m not surprised it doesn’t happen very often. 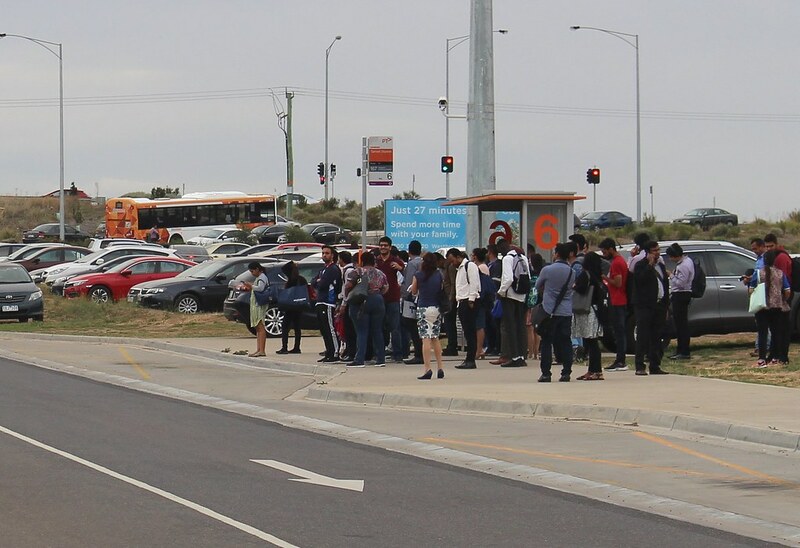 The mystery to me is: in suburban areas, when the walking/cycling and bus options are all crap, but could be viable with a little more investment, how come the answer from both sides is always “spend $$$ on more parking”, given it doesn’t solve the problem, and creates others? “But Daniel, nobody wants to use the bus”. Nope, completely untrue. 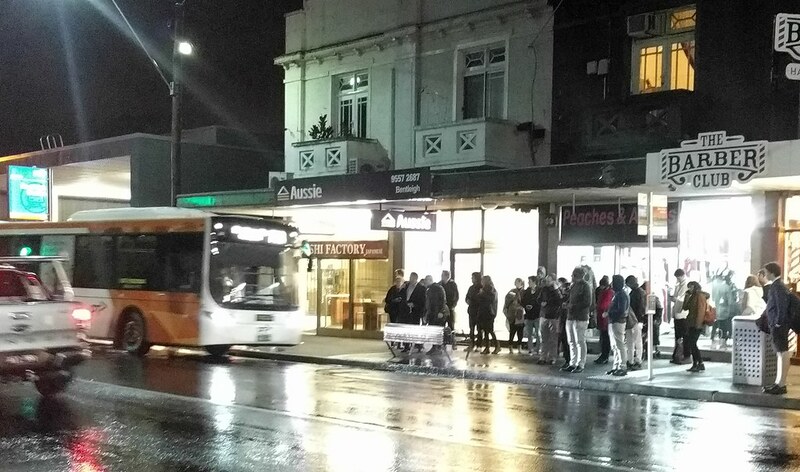 Here’s a crowd at Tarneit who are more than willing to catch a bus home, but they’re left waiting. Route 167 only runs every half-hour. Apparently the solution is to pay millions to get them to drive to the station instead. “But Daniel, most people drive to the station!” No they don’t. Even in zone 2, a minority of people drive to the station. The stats for 2013-14 show 27.9% of weekday access to stations (excluding the CBD) was by car. It was higher in zone 2, lower in zone 1, but driving to the station is a minority mode in all areas, with only some individual stations having a majority of arrivals by car. 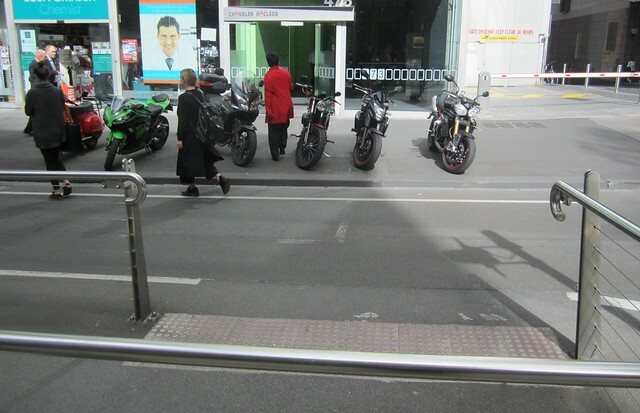 It just looks like most people drive, because the car parks take up so much damn space. Now, I’m not about to tell people they should go and walk along terrible unlit footpaths, or use a second-rate bus service. People will use what’s most convenient. Remember, transport is supply-led. But the infuriating thing is that every time the government has tried upgrading connecting buses, people have flocked to them. Even my local 703 route, which is okay during peak but very poor after the PM peak, gets a crowd every morning and every night. Other stations with feeder buses running at good frequencies also get lots of people connecting by bus. Some stations also have substantial levels of bicycle access, often outstripping capacity of bike cages. At Newport, where the Parkiteer cage is regularly full, locals resorted to the Pick My Project initiative to try and get another one… it wasn’t selected. Given one cage storing 26 bikes takes the space of about 2 cars, and is something like an eighth of the cost, why isn’t government just routinely installing more bike parking, either cages or another design, as demand grows? And at almost all stations, more people walk to the station than drive, despite often adverse walking conditions. All these can be improved at far less than $37,500 per car space. Why are these modes not getting more investment? 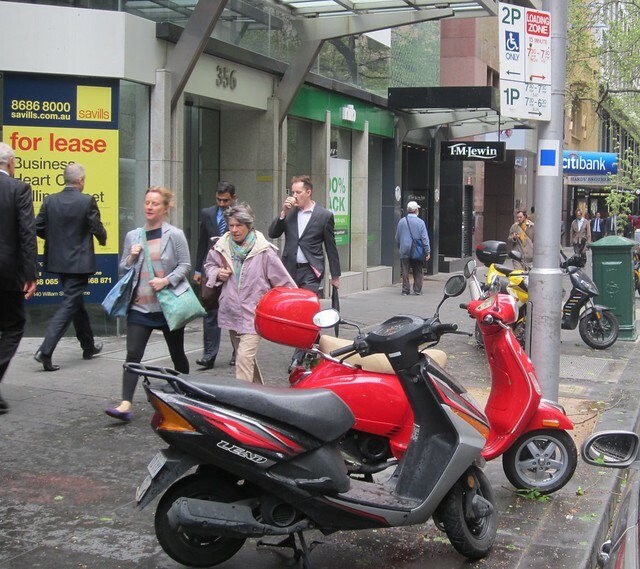 Public transport shouldn’t require that users own a car. There are proven fixes that are cheaper, can get people to the station even if travelling after morning peak, that don’t take up lots of space around stations, and don’t contribute to local traffic congestion. If only the politicians could see it. 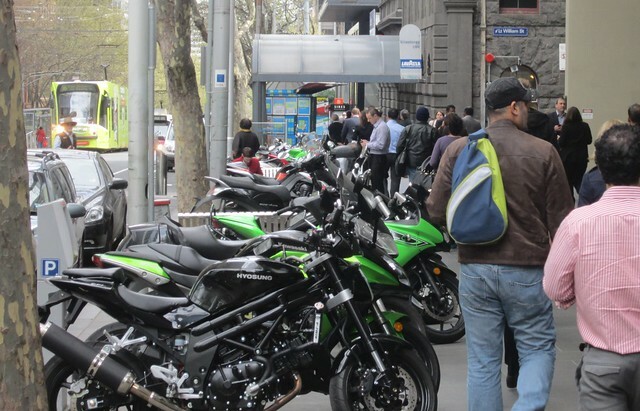 Should parking at Melbourne railway stations be free? Here’s something I didn’t know: Perth’s Transperth transport system has some paid parking, and you can pay for it with a Smartrider card. 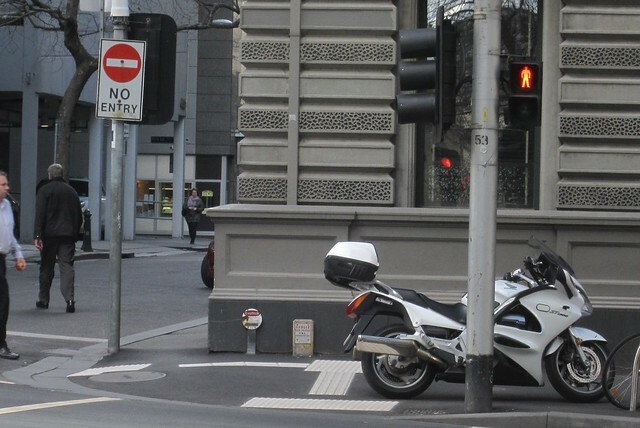 Bear in mind that provision of new parking spaces costs on average over $15,000 per space. 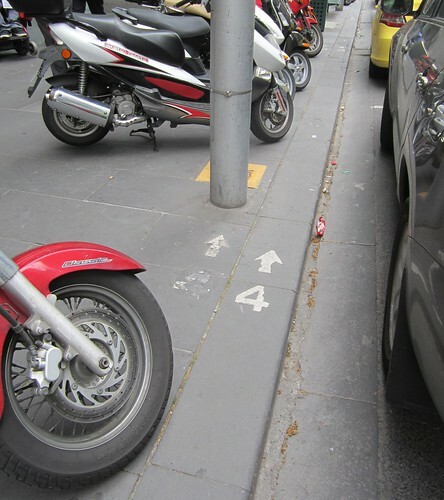 For multi-level parking, it can cost 3-4 times that amount. 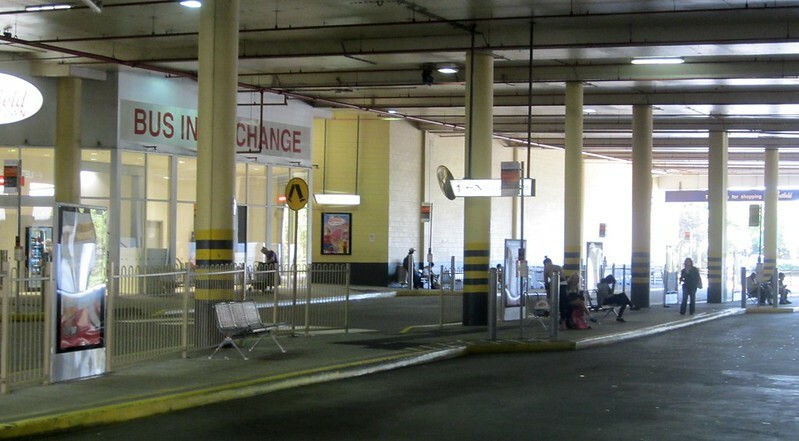 For the recent WA election, there was a promise by the Liberals of $47 million for a new multi-storey carpark at Edgewater station, providing 560 spaces. That’s about $84,000 per space. If every space was filled 365 days a year, paying $2 per day, it would take 115 years of for them to make the money back (and that doesn’t count the interest bill for borrowing the capital cost). It appears that many Perth stations have between 30% and 60% of their parking with a $2 fee attached. I guess having at least some paid is to increase the likelihood of people arriving after rush hour being able to still find a spot. It may also be that the paid spots are those that have been added more recently, so the fees have helped pay for them. Bear in mind that because many Perth stations are in the middle of freeways, walk-up patronage is much lower than in Melbourne. Another interesting one in Perth is they have some parking spaces which are locked-up between 9am and 3:30pm each weekday. Perhaps car theft is a big problem there. 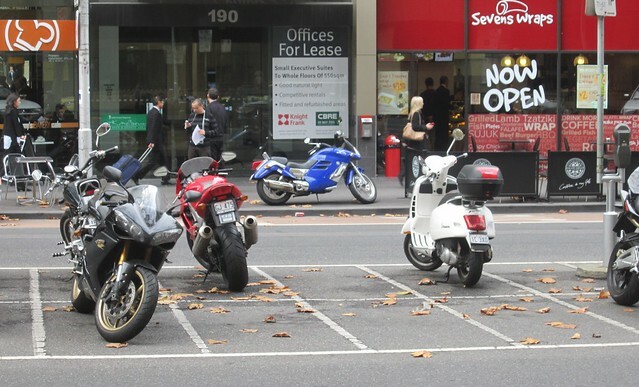 It raises an obvious (but probably controversial) question: should they charge for parking spaces in Melbourne? You could have a charge for all station car parks, probably on weekdays only (as in Perth) when demand is high. Or you could charge more in zone 1. Or have a charge in zone 1 but none in zone 2. That would help reduce the current zone fare difference, discouraging people from driving to zone 1. Plus typically (but not always) at zone 1 stations there are more and better feeder services available, which people should be encouraged to use. Or some free, some paid parking at each station like in Perth. You might be talking boom gates (more infrastructure required), or you might use pay-and-display tickets (more staff required). Given the government decision that every traveller is expected to have a Myki, I would think you’d want it possible to be paid using that, to avoid having to have cash collection and so on, though also allowing payment with coins might help for occasional users. It could help defray the huge cost of providing parking (though at $2 a day it would take at least 20 years to do so). And given that huge cost, user-pays is not inappropriate — remember, despite how it seems, most train passengers don’t drive to the station — and land around stations is some of the most valuable in Melbourne. It might help reduce demand so that people who genuinely need a park at the station are able to get one, even if travelling after 8am or so (earlier at some stations) when they currently fill up. The cost of collecting the fees would need to be taken into account… apart from things like boom gates, it might also require re-modelling of car park layouts, and even a mechanism for ensuring people don’t enter a car park when it’s already full (or perhaps just allow free exit within 15 minutes, like with Myki at stations — also useful for “kiss and ride” drop-offs). Can Myki handle this type of transaction if it’s not considered part of the zone system, but an additional charge? If not, it might result in additional costs. 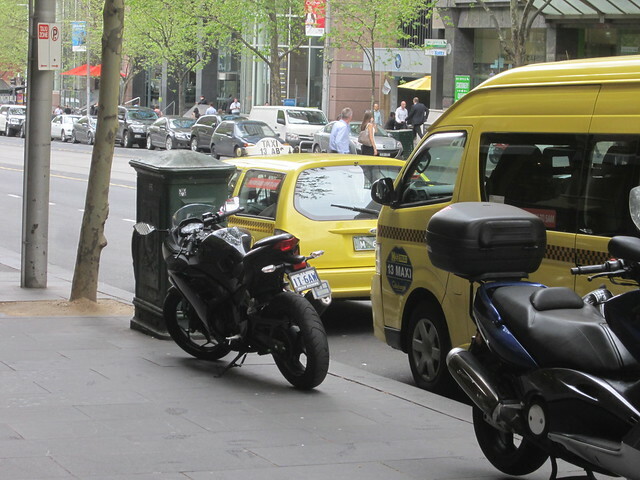 How much ground level parking is there in Melbourne’s CBD? What’s the ultimate waste of space in a city centre? 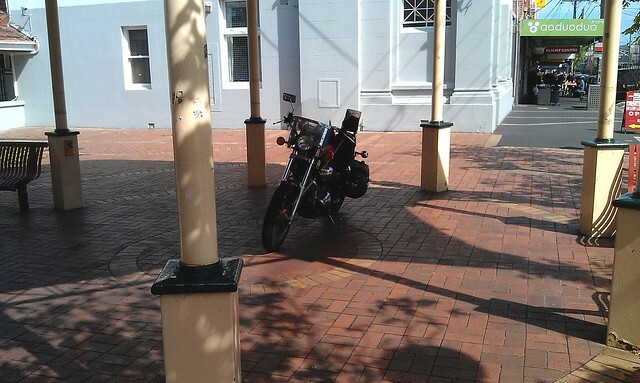 Ground level, single level parking. 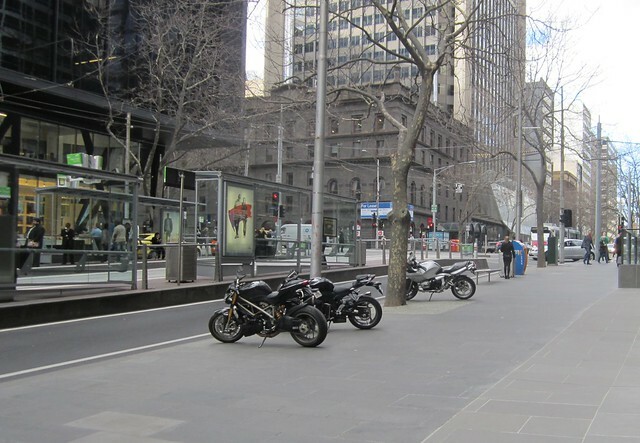 Along with the access space required to get cars in and out, it’s wasted space because apart from perhaps $20-30 per day in revenue, it isn’t used for anything. How would Melbourne stack up? I’ve had a go at it, by plotting the red onto a Nearmap image, and scouring Nearmap at high resolution, then checking Google Streetview to see if a carpark was ground level parking, or a multi-storey (which at least piles cars on top of each other, meaning more efficient use of the land — even if it is still parking and is fugly) or parking on top of buildings. I’ve only done within the Hoddle Grid. Have I missed any, or made any errors? Leave a comment. You’d have to say that in summary, there’s not much. The tiny carpark near Lonsdale/Elizabeth Streets that I used to watch from on-high has vanished, and is being developed. 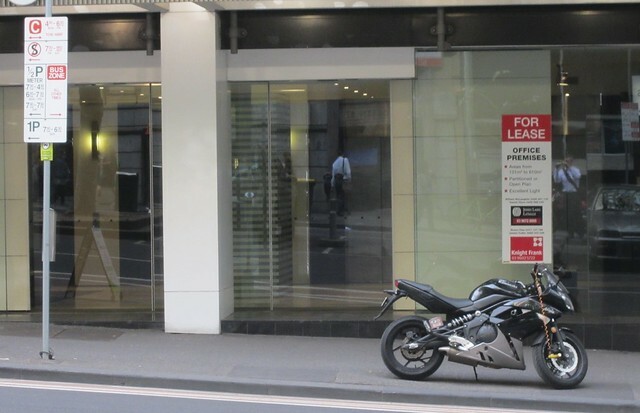 The parking at the back of The Age building (Lonsdale Street, behind Spencer Street) will, I’m told, vanish when the whole property is re-developed in the nearish future. The back of The Old Mint building (Latrobe/William Streets) is the other prominent area. 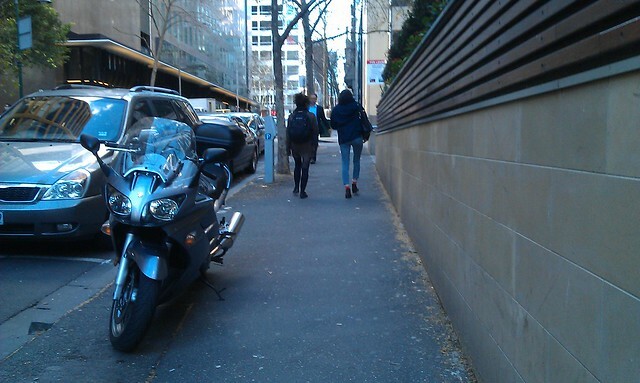 There’s a small amount of parking in front of the William Angliss Institute building. This is a perfect example of why it’s such a waste of space. 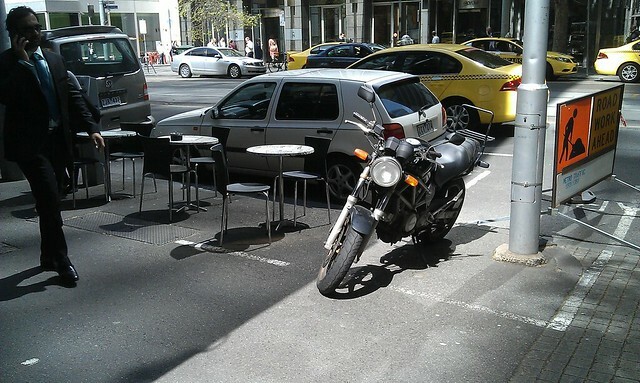 Ten cars accommodated, taking up about half the open/garden space in front of the building. 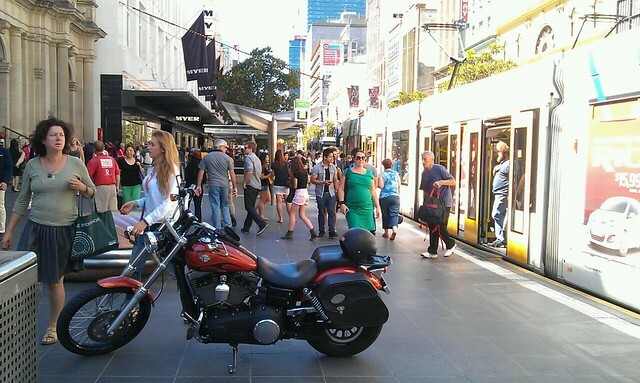 And of course… there’s street parking, particularly along the non-tram streets such as Lonsdale, Russell and Exhibition. 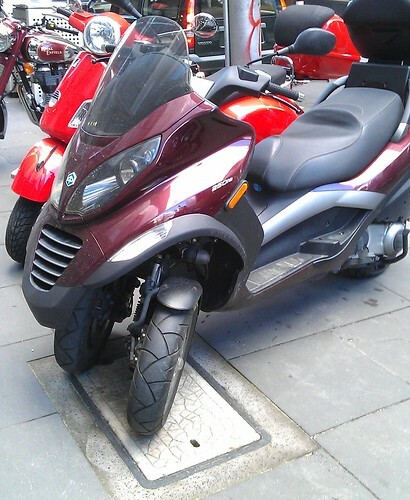 See, in a city centre that has around half-a-million people a day visiting it, you can’t afford to have lots of people bring their cars. If you try and find space to leave hundreds of thousands of vehicles, that doesn’t work — not to mention the traffic congestion it creates. Bringing them in by more efficient means (particularly mass transit) is the only way it can work. PS. Thanks for suggestions. The map has been slightly modified.